It’s five minutes into a class at the Beat Junkie Institute of Sound, and the room is awash in a cacophony of scratches. D-Styles, the instructor du jour, is leading the students in a follow-the-leader run through different techniques: Move the record forward twice, then back once; once forward, twice back; the “boomerang” cut, a combo featuring two different styles of scratch in both forward and reverse. In the back corner, DJ Rhettmatic, another of the Junkies, is lost in his own world. Headphones on, he’s busy cutting and mixing on the last set of turntables, his hands a noiseless blur. 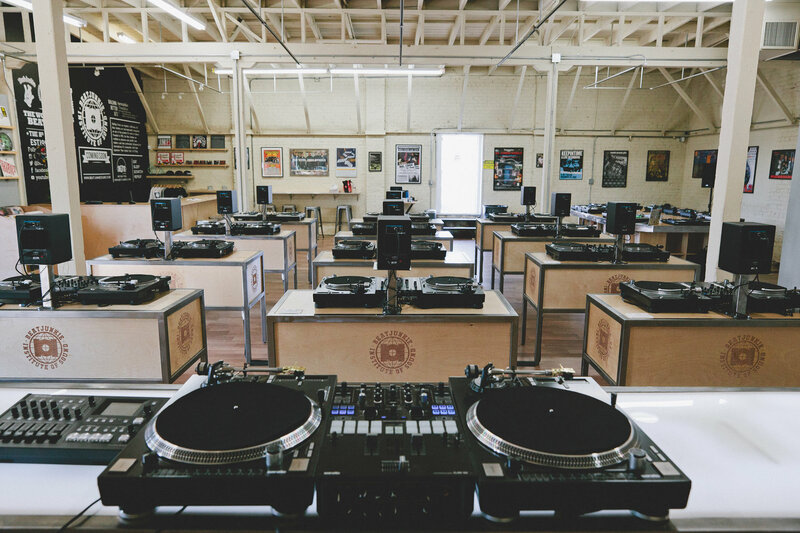 In an era of YouTube tutorials and computer programs like Serato that do much of the dexterous work, it might be initially difficult to see why a trip to Glendale—a 30-minute drive from the Hollywood Roosevelt Hotel—is necessary to learn the art of the DJ. But a sense of community can’t be replaced by a comment section, and the Beat Junkie Institute of Sound gives a space for aspirants to spin, talk shop, and share secrets in a manner that is impossible to replicate online. Formed in 1992, the Beat Junkies are one of the preeminent DJ crews of hip-hop’s “Golden Era.” Its list of accomplishments is long enough to merit its own chapter of a theoretical hip-hop history book: Multiple West Coast DMC DJ championships, solo albums, mix CDs (crew founder J-Rocc and member DJ Babu’s work on Rawkus Records’ “Soundbombing II” is still beloved by fans of a certain age), and even as members of groups like Dilated Peoples and the Visionaries. But part of being a legendary crew of that era meant respecting a long-accepted rule of hip-hop: No sharing. When first considering opening a school, a place where DJs could gather and learn the secrets that propelled the Junkies to worldwide respect among hip-hop heads, it took a few years to marinate. But that culture of secrecy, one in which DJs would literally scratch the names of songs off record labels to make sure that competitors didn’t know the name of the newest hot track, is in decline. Tightly held secrets in every field, be they recipes, quick fixes to a car, or even DJ set lists, are accessible via one web search. If this information is going to be shared, shouldn’t it be the giants, those who do it best, who do the sharing? “We have a language, a lifestyle, a culture, techniques that need to be talked about and passed down to the next generation, rather than letting YouTube teaching the next generation,” Babu says. 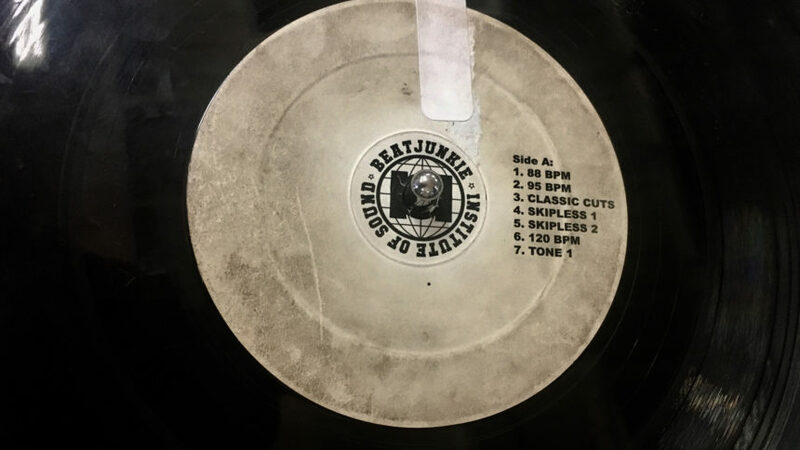 Classes at the Beat Junkie Institute of Sound, which opened in May, are exclusively taught by members of the 13-deep crew, and the early foundational courses utilize strictly vinyl. 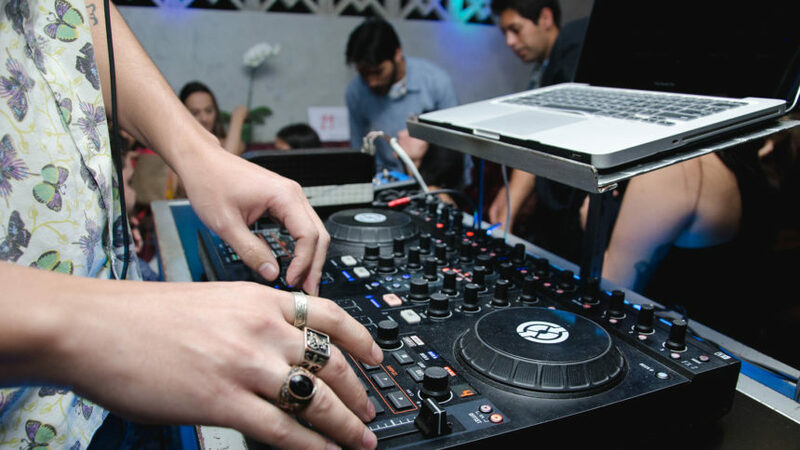 It’s a traditionalist view of the art, and certainly one that leaves out short cuts; even in the midst of the vinyl renaissance, most working DJs are spinning from computers, and many of those have gone fully digital and don’t use turntables at all. Despite these restrictions, though, the Institute is not rigid at all as to what students do with the knowledge obtained here. Though hip-hop is the obvious background of the school, Babu says that the Institute – like the art itself – is genre-less.